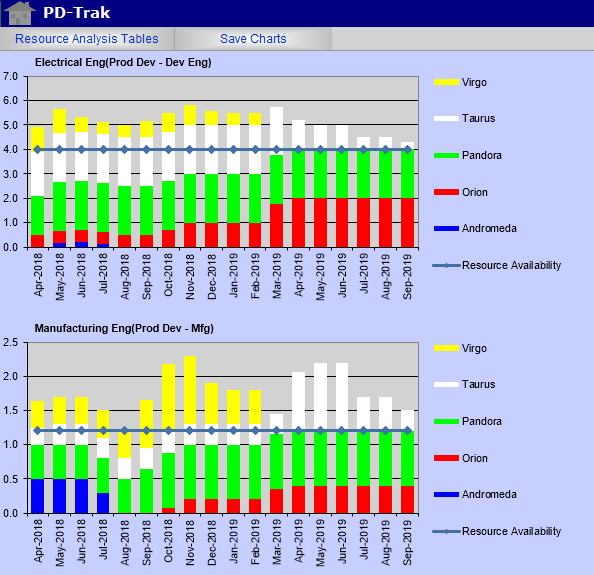 The Resource Analysis function in PD-Trak allows the resource demand timelines of the selected projects to be extracted, totaled and compared to resource availability. This analysis allows resource over-allocations to be identified and managed. The first step is to select what resources to consider. 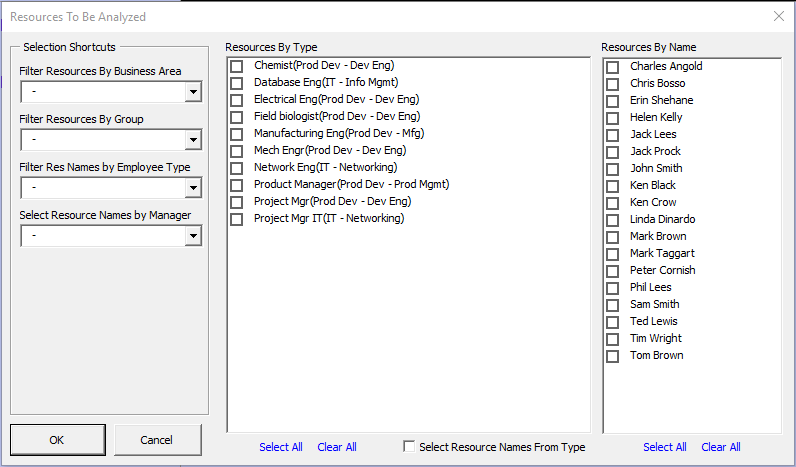 Individual resource types or names can be selected, or groups of resources can be selected based on business area, department or functional manager associations (as captured in the resource pool). After resources have been selected the user initiates the extraction of data. 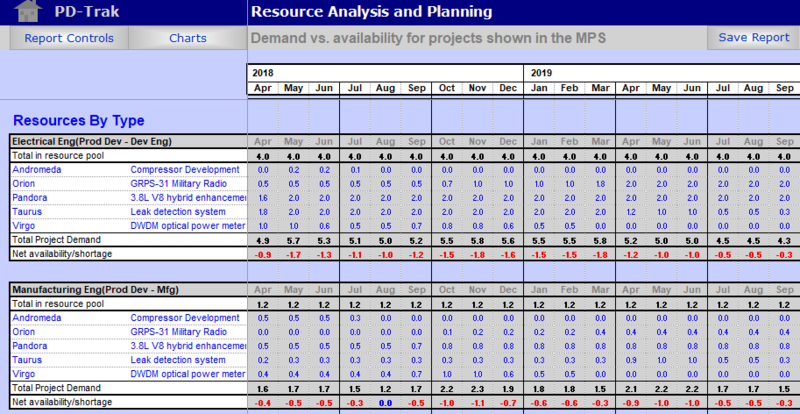 The tool then builds a table for each resource type or name indicating displaying the time based demand from each project and the total demand. The total demand is subtracted from the resource availability to calculate net availability/shortage. These reports can be displayed based on weekly or monthly time periods. The monthly display is useful to support longer-term portfolio planning. The weekly display is useful for department managers to identify upcoming bottlenecks (short term over-allocation conditions) so that steps can be taken to minimize impact. This resource plan can also be displayed in graphical format. If there is a shortage of one or more resources, there are many ways that the problem could be solved – add full time resources, add temporary resources, postpone the start of a new project, put one or more projects on hold, de-scope one or more projects, kill one or more projects. PD-Trak provides flexible tools to make these changes and a modeling environment that allows different scenarios to be analyzed until the best solution is found.